Among all the pros and cons of a Pebble smartwatch has until now remained one glaring flaw: they couldn't get all the notifications from your Android phone. Thankfully the latest Pebble Android companion app update has finally fixed that. 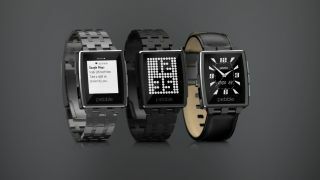 Prior to version 2.1 Pebble watches could only display notifications from select Android apps, including Gmail and others. But now if your Android phone is trying to tell you something, your Pebble watch will display it, no matter what app it's coming from. You can adjust these settings in the app itself. That's if you're using a smartwatch like the Pebble Steel with Android 4.3 or higher, while support for Android 4.0 and up will arrive later. Pebble hasn't released a new watch in a while, but with the new apps and price drop its existing offerings just got now is a good time to pick one up. Pebble's next smartwatch will be "more everything"